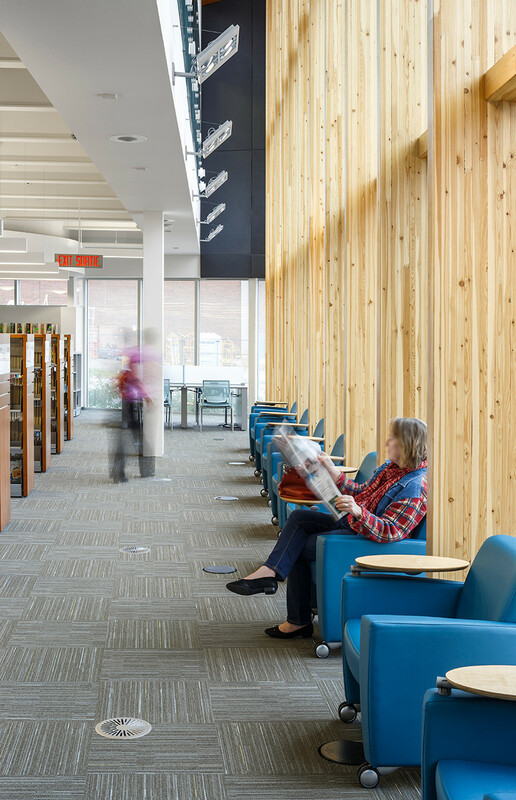 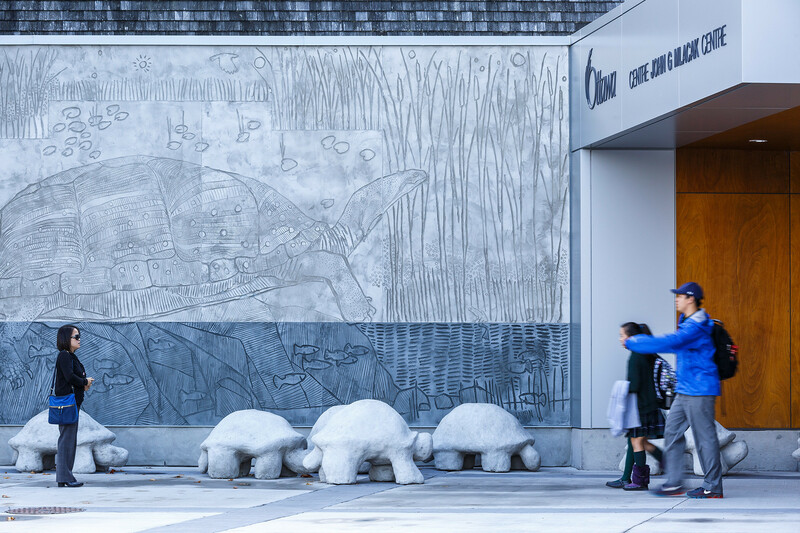 This major expansion and renovation doubled the size of the Beaverbrook Branch, the second-highest circulating branch in the Ottawa Public Library system, and created welcoming, engaging, light filled and technology-enabled public spaces. 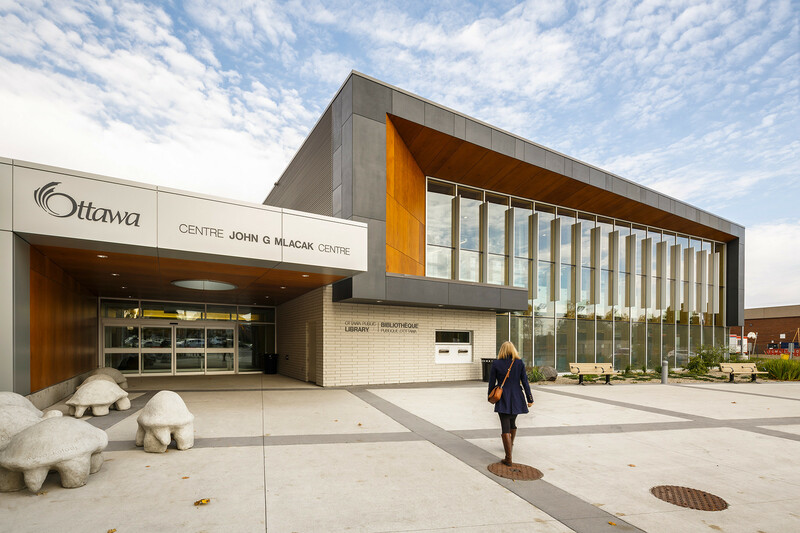 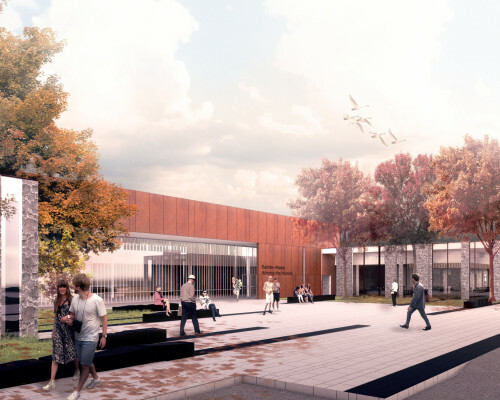 The two-storey addition established a far more substantial visual presence for the library, welcoming patrons with a transparent facade of floor-to-ceiling glass and an entrance terrace with seating areas and naturalized gardens. 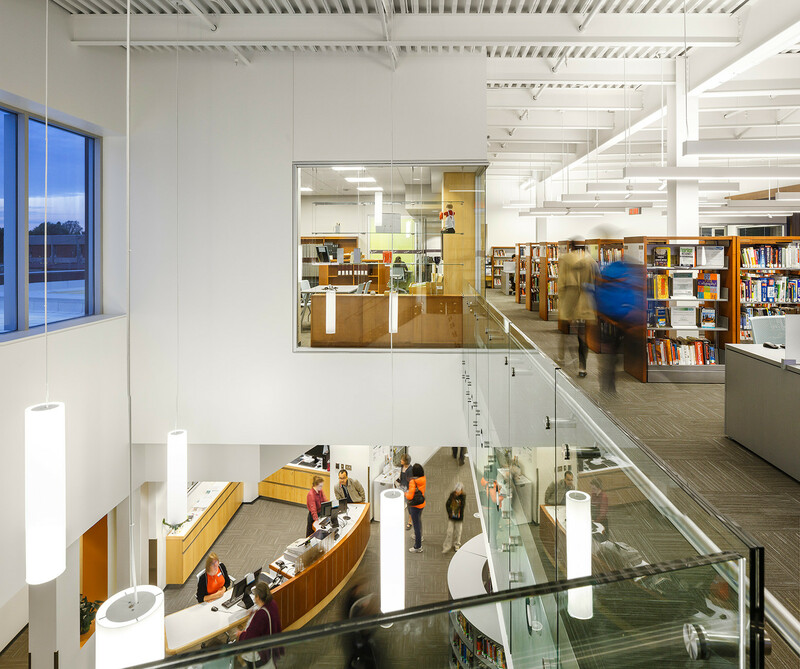 Inside, the prime public areas are arranged along the front window wall, including a dramatic double-height reading area and a feature staircase leading to the second floor. 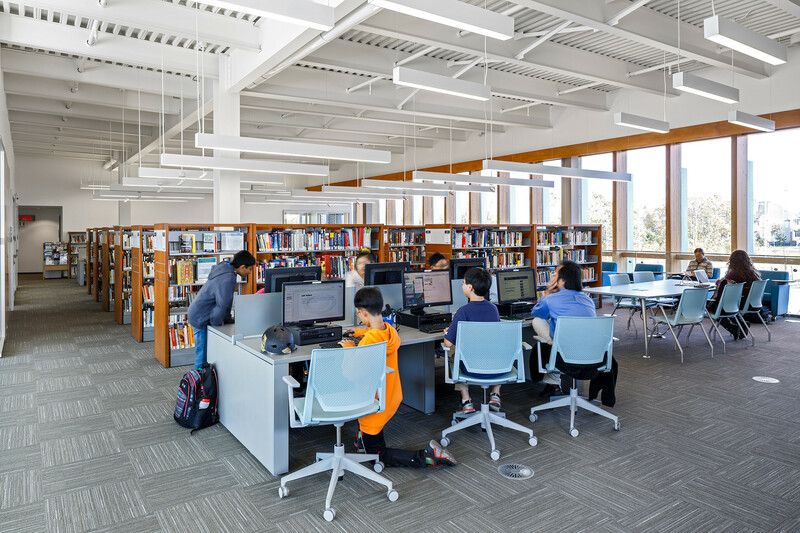 Spaces for children and youth are visually and acoustically separated, and are outfitted with comfortable lounge furniture and study areas for individuals and groups. 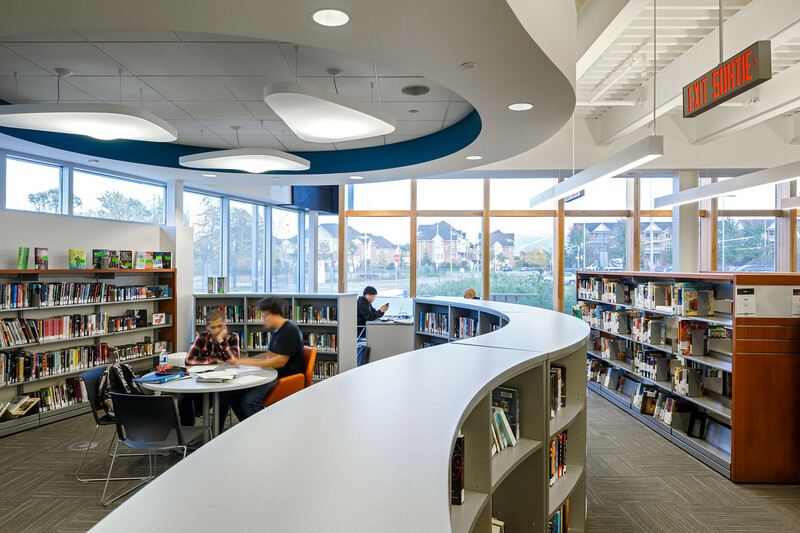 Story time space overlooks a magical treed outcrop and a future children’s garden. 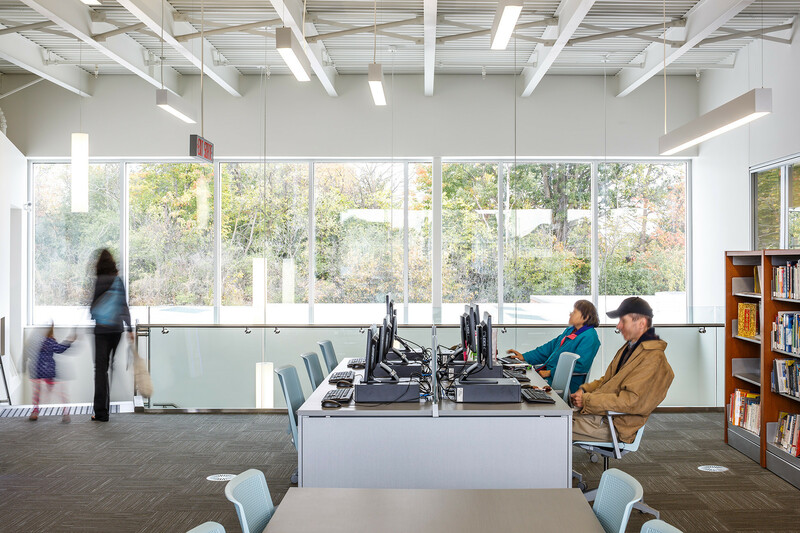 The conference room is fitted with an A/V system and can be partitioned for evening events. 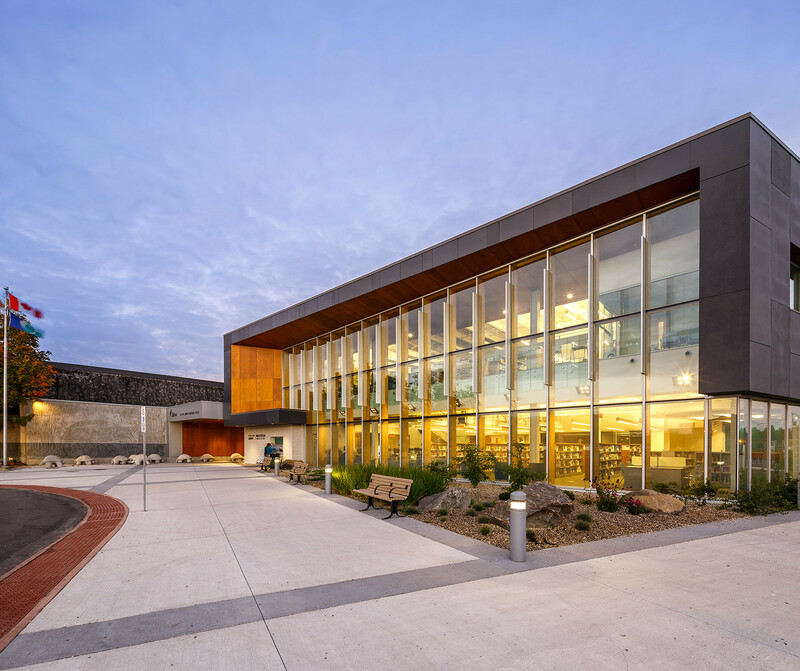 The two-storey addition established a far more substantial visual presence for the library, welcoming patrons with a transparent facade of floor-to-ceiling glass and an entrance terrace with seating areas and naturalized gardens.